On 13th October 2014 IFAD's East and Southern Africa Division and Policy and Technical Advisory Division organised a seminar on "Indigenous plant products industry in Africa – the experience of PhytoTrade Africa", which was attended by many colleagues from various divisions. The event was webcast and followed by around 30 participants. The seminar provided PhytoTrade Africa – IFAD grant recipient – the possibility to share with us its experience and explore options for further collaboration. Phytotrade Africa is a non-profit, membership-based trade association established in 2001 for the indigenous plant products industry in Africa, with a current focus on southern Africa. It represents private-sector, NGOs and individuals working in Botswana, Malawi, Mozambique, Namibia, South Africa, Swaziland, Zambia and Zimbabwe. It has about 70 members and a core staff of about 15. Its purpose is to alleviate poverty and protect biodiversity by developing an industry that is economically successful, ethical and sustainable. It aims to generate additional sources of cash income for poor rural households mainly living in less accessible semi-arid and arid areas, through the commercialization of the natural resources to which they have preferential access. Over the past 14 years Phytotrade Africa has made great strides in sustainably developing and marketing indigenous plant products to the pharmaceutical, cosmetic and food industries. Currently it supports at least 14,300 harvesters, of which about 9,500 (66%) are women. Gross annual revenues are about USD2.3 million with the cash income for primary producers/harvesters being about USD940,000 p.a. Phytotrade Africa members have added about USD1.47 million of value to the raw materials bought from primary producers/harvesters. Phytotrade Africa developed a Charter that binds members to sustainable use, equitable benefit sharing, compliance to national and international legislation, fair trade, free, prior and informed consent and respect of existing land and natural resource tenure. It has adopted the Nagoya Protocol on Access to Genetic Resources and the Fair and Equitable Sharing of Benefits Arising from their Utilization (ABS) to the Convention on Biological Diversity which was adopted in 2010 in Nagoya, Japan and is a supplementary international agreement to the Convention on Biological Diversity (CBD). Since 2010 it has focused more on business and financial aspects and on broadening market access, adopting a strategy based on the provision of services to members. Through this strategy it intends to broaden the distribution network and localize quality control for the cosmetic ingredients to gain more control and value addition over product positioning, pricing and sales. It is targeting the development of key species that will generate large demand volumes; it aims to increase the inclusion of new harvesters into the supply chain and to focus on the financial capacity and structure of its members to grow to the market demand. Following requests from SMEs and other stakeholders in the sector, PhytoTrade Africa is preparing to extend this approach to other African countries, such as Madagascar, Kenya, Tanzania, Cameroun and Senegal. IFAD has been a key partner from the outset and has provided almost USD5.4 million to Phytotrade Africa since 2001 through 6 grants. Currently IFAD is providing a large grant of USD1.5 million for the “Programme for Alleviating Poverty and Protecting Biodiversity through BioTrade” which is co-financed by AFD and FFEM. 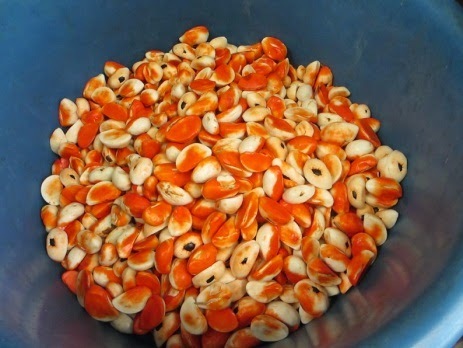 The programme is expected to run for three years from 2012 – 15 and is comprised of five main components: (i) supply chain development; (ii) community biodiversity training; (iii) development of the mafura sector in Mozambique; (iv) market expansion; and (v) increased access to financing. By the end of 2015, it is expected that the programme will: increase sales of members from USD1.34 million to more than USD10 million; increase the number of rural harvesters from 10,700 to 26,500; and increase incomes of participating rural harvesters from US$0.58 million to more than US$2 million . The long term support provided by IFAD raised the issue of how better document and share the impacts that the grants provided to PhytoTrade Africa have produced over the years on the Fund's target group. In the discussions held during and after the seminar, it was also highlighted the need to better and further link PhytoTrade interventions with IFAD programmes and projects in the field (e.g. on pastoralism or financing mechanisms) and concrete options were explored, as a possible participation of PhytoTrade in the next project design in Cameroon. Some challenges were posed in relation to, for example, the measurement of impact and the anecdotal evidence of such impact (e.g. 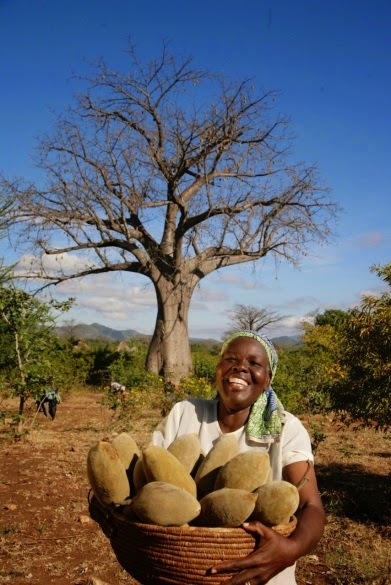 the impact on the local baobab market in Malawi), the possible tensions between private sector and communities, the endorsement by the states and the implementation of the existing safeguards to avoid abuses and the protection of intellectual property (e.g. the Nagoya Protocol). These discussions need to linked to a broader reflection that the Fund should have on how IFAD would deal with ethical biotrade and what should or could be its contributions to the development of this sector that, in many cases, is an additional source of income for the poor rural people, with a potential specific role as adaptation measure. 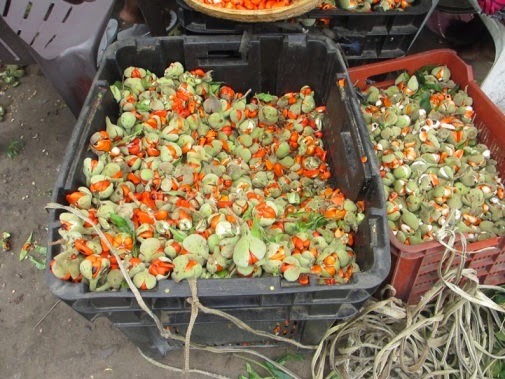 PhytoTrade area of interventions has also a strong gender component, demonstrated by the fact that 66% of its harvesters are women and that some activities (e.g. shea butter) are a specific women domain, which may be of relevance for IFAD's interventions in this field.